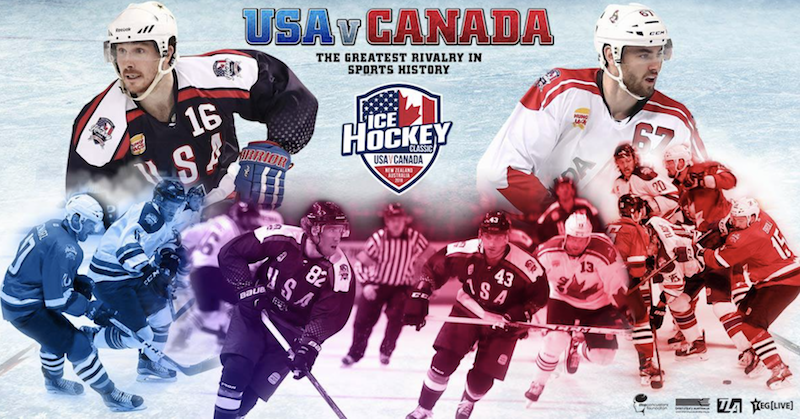 Thousands of Australian ice hockey fans are about to be exposed to Brain Injury Australia’s messaging regarding concussion and the dangers of traumatic brain injuries at the 2018 Ice Hockey Classic between teams from the USA and Canada. You might be scratching your head as to the connection between Brain Injury Australia and an event celebrating ‘hockey’, which is often regarded as a worryingly violent sport of collisions and even fighting. But the organisers of the Classic have long been supporters of our brain-protection messages, adopting BIA as the event’s official charity for several years now.The National Hockey League is the world’s major ice hockey competition, and its administrators continue to refuse to recognise any potential links between hockey impacts and potential long-term brain damage, yet the founders of the Australian classics, former European player Kerry Goulet and logistics director Toni Miil have both been passionate in promoting StopConcussions.com and the BIA, including making donations to BIA after each series. Goulet and his friend, NHL legend Keith Primeau, established StopConcussions.com to try and educate the hockey world about concussion, traumatic brain injury and after-effects of head knocks, having both received their share during long hockey careers. At the 2018 Ice Hockey Classics being held in New Zealand and also in Sydney and Brisbane, the event is pushing the ‘5 Rs of Concussion’, a joint initiative between Sports Medicine Australia and Brain Injury Australia. This strategy holds, whether for hockey, or other sports where collisions occur, and heads can be jolted. As always, we appreciate Kerry and his team for using their platform to help the BIA cause. The tour is well underway but you can still catch the action if you’re in Adelaide on Thursday, July 5, or Brisbane on Saturday, July 7.